Learn how emerging professionals are changing the way we think about inspiring the world to fitness. Within the fitness industry there is a breed of up-and-comers who are redefining the way the world views fitness. These are true innovators—mavericks poised to become the next generation of thought drivers and path pavers. IDEA Fitness Journal reached out to top names in fitness to learn who they believe are the rising stars who will push the industry toward greatness. This list is by no means exhaustive; think of it as representing the kinds of talents and ideas that will strengthen the industry in decades to come. Truyman believes the “premium wellness” his affluent clients were privy to should also be available to the general consumer. And so, in 2009, he founded EZIA Human Performance in the seaside town of Carlsbad, California. Aside from the billionaire lifestyle accoutrements available at EZIA, what sets the state-of-the-art facility apart is ESP (Endurance, Strength and Power), “a game-based program that rewards competency in movement with color-coded levels that acknowledge (and celebrate) your success.” Truyman and his team identified 12 benchmark exercises that “quantify elite performance.” Each quarter, EZIA members have the opportunity to test their skills and attempt to progress to the next fifitness rank. handles and filled with varying levels of water for increased resistance and load—was born. “So often, the objects [that firefighters] move are not stable and well-balanced like the weights we use in our workouts. They have active movement or imbalances that challenge the body in ways that differ from what we train with,” Jones notes. To divine a solution to his training problem, he looked to a firefighter’s greatest asset: water. Jones is astonished at the attention his invention has gained since its launch at the 2013 IDEA World Fitness Convention™. “I could not have anticipated such a positive response from the fitness community. Introducing a product at the biggest fitness show in the world and having elite trainers say how great the Surge is—that was incredibly humbling.” Patented and trademarked by Rogue Wave Industries LLC, the Surge is manufactured by Hedstrom Fitness. Jen Sinkler has always believed in being physically strong. A former rugby player—she participated in the U.S. national sevens and 15s for 10 years—she knows that strength, power and packing a punch are assets on the field. Sinkler describes rugby as a “body positive” sport in which confidence is required to succeed. “I ask a lot of questions of my clients, and the main one tends to be, ‘That looks pretty light for you. What do you think about adding a little more weight?’” she says. “I find I have more luck—and they have more PRs [personal records]—when the choice ultimately lies with them. “The idea is to acknowledge there are lots of ways to get fit, and to embrace the ones you like best. I like providing spaces for that vibe and approach, which is why I teach and talk about a lot of different ways to approach resistance training: kettlebell training, powerlifting, Olympic lifting, calisthenics and DVRT [dynamic variable resistance training], with all sorts of different approaches to how to wield those tools well. Fonooni also believes that women are more likely to succeed when they shift focus from purely aesthetic aims to performance goals. “Wanting to lose fat or gain muscle are both great intentions, but performance goals—such as increasing squat load or running a faster mile—are going to keep you wanting to exercise regardless of how harshly you judge your aesthetics,” she says. What is Fonooni’s biggest dream—and personal mission— for improving the future of fitness? Acceptance. Biomechanics. Pelvic floor. Iliopsoas. These words may spark intrigue for fitness pros, but they’re like kryptonite for much of the general population. That’s where Katy Bowman comes in. 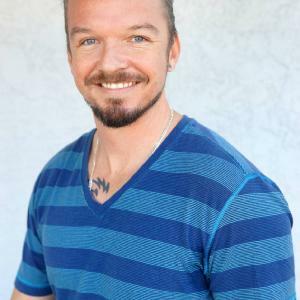 A biomechanist and director of the Restorative ExerciseTM Institute, Bowman succeeds with a teaching and training style that is equal parts education and entertainment. While Bowman deals in humor, she charges fitness professionals and ambassadors with a serious challenge. Yoga instructors Philip Steir and Derek Beres believe there is a missing component in contemporary yoga practice: music. Together, the two developed a program called Flow Play for Equinox. Flow Play incorporates yoga, music (Beres is a DJ, and Steir produces music) and the latest research in neuroscience. Steir initially clued in to the brain’s response to music through its effect in movies and advertisements. “Music functions in a similar manner to shape the flow of a yoga class,” he says. Steir adds that his experience as a DJ has played a huge role in how he teaches his students. He notes that a great DJ will read an audience and play what it wants to hear, whereas a subpar DJ will play what he wants to listen to. When we think about innovation, the first things that spring to mind may not be strength and conditioning. While strength has been a fitness staple for eons, lately it’s taken a backseat to contemporary strategies and tools far fancier than bars and heavy weights. However, the past several years have seen a resurgence in the popularity of S&C, with a modern influence. For example, David Dellanave of The Movement Minneapolis incorporates biofeedback principles into training so that clients progress steadily and with minimal injury risk. That silliness, he says, involves a mind-over-matter attitude that he’s looking to squash. A long history of training in martial arts, followed by capoeira, sparked Portal’s obsession with understanding movement. Despite the education, he still felt limited. Each of his teachers looked at a specific discipline—such as dance or circus performance. Portal believes that the scope of movement is much bigger and incorporates all disciplines. Words can’t truly describe Portal’s passion. It’s best understood by watching him move. Check out this video to see him in action: www.youtube.com/watch?v=CeAQnYhrolQ"
Danny Weiland’s story starts with a damaged back. “All the heavy lifting I was doing wasn’t helping,” he recalls. 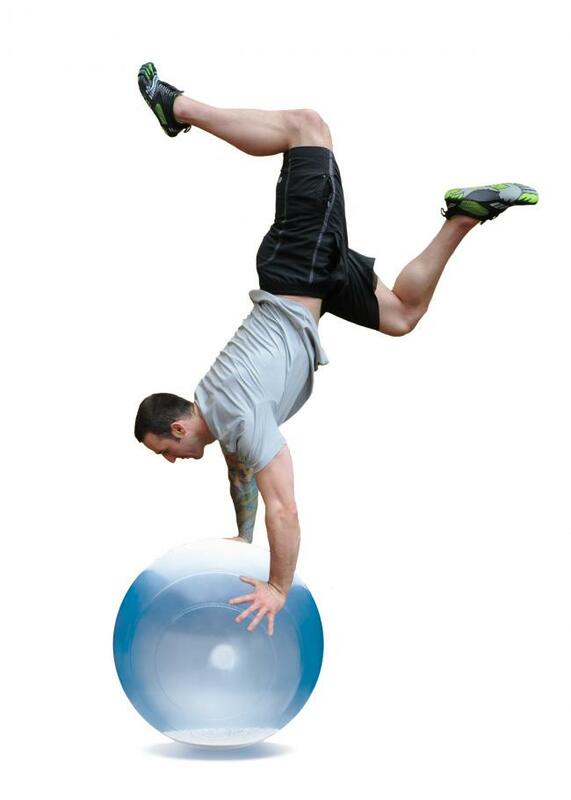 Weiland traded his heavy weights for planks and other prone-based exercises on the floor or using the BOSU® Balance Trainer. As his pain diminished, he started to experiment with movement, incorporating the BOSU Ballast® Ball into his weekly sessions. Weiland’s world opened up. The result is Corbing™, which to some might look like a circus act, but Weiland describes it as a carefully planned series of movements designed to enhance the mind-body experience, inspire individual creativity and improve physical performance. Jordan imbues everything she does with positivity because she feels she has a responsibility to make everyone feel comfortable in her presence. Skeptics might wonder how Jordan manages to remain upbeat throughout her day, but she insists that, with a bit of work, anything is possible. He would eventually earn certifications in group exercise and personal training, and from there he launched himself into the indoor cycling world. Conolly’s brand of instruction is based in psychology, which he studied in college. “My workouts do not fit the traditional group exercise model of demonstration to music, but rather a coaching style of instruction built on psychological strategies,” he notes. In 2013, Conolly joined Jay Blahnik, Julz Arney and Josh Crosby and the rest of the ShockWave team to expand programming throughout Australia. Several fitness industry veterans insist that Conolly’s star is only beginning to rise, but he prefers to focus on what’s right in front of him. When IDEA presenter Cassey Ho first entered the online arena, she had no idea what impact she was about to create. Ho now boasts more than 1.2 million YouTube subscribers; several of her videos have well over 3 million views. She believes she is successful by being herself instead of projecting a manufactured personality. Ho is also the creator of Blogilates, which earned her the title of Best Healthy Living Blogger in 2012 from Fitness magazine. She believes that fitness should be accessible to everyone and that the online world is a great place to find like-minded people who share similar struggles. Danny-J started The Sweaty Betties as a forum for women who were tired of the concept of fitness being a means to perfection. A former fitness model and figure competitor, she felt that the industry spread significant misperceptions about what it means to be fit and healthy. In a space where carefully controlled “images” prevail, Danny-J isn’t afraid to put her whole self in the spotlight. And she believes this is the main reason why she has developed such a large, passionate following. Danny-J, who has a master’s degree in health promotion and who is an IDEA Inspired Blogger, works to develop a supportive, inclusive environment.